Discover our own natural dance. Discover the other person natural dance. Discover how to put our natural dance together with somebody else natural dance with out loosing of each other natural dance. Emery Blackwell has been teaching and dancing for Danceability for the past 24 years. Emery’s goal is to assist people in perceiving and communicating in a more creative and expressive fashion. In der Woche vom 23-28. Mai 2011 werden zur Vorbereitung der Straßenaktion in der Invalidenstraße (Samstag, 28.Mai 2011) verschiedene künstlerische Workshops organisiert, zu denen wir euch herzlich einladen möchten. 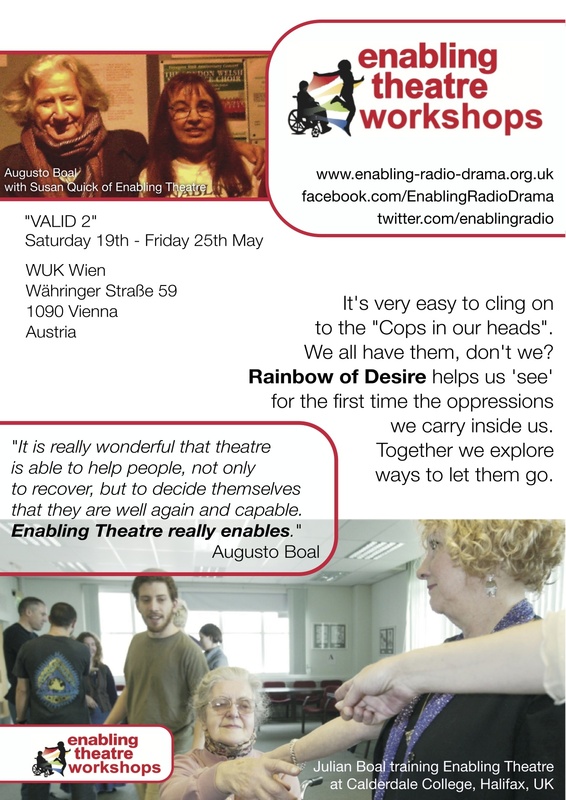 We would like to invite you to a week of different artistic workshops (24-28 May 2011) in order to prepare for the “Invalidenstraße” street action (Saturday, 28 May 2011).